With the motive of inculcating social responsibility amongst the students and imbibing the motto of “Not me but you” of NSS, the institute has set up a NSS Cell. The cell undertakes community activities like, blood donation camps, adoption of slums, polio vaccination camps, adult literacy drives and other environment friendly initiatives etc. The unit has been envisioned to foster a sense of commitment, devotion, discipline and nationalism among IIIMites. 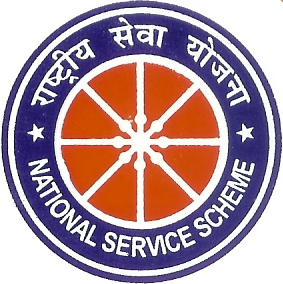 National Service Scheme (NSS) at IIIM is an initiative of Ministry of Department of Youth Affairs and Sports Govt of India. IIIM too is an active member of NSS which gives students and opportunity to offer their services to the under privileged section of the society on voluntary basis. Its motto is “Not Me But You”, which expresses the essence of Democratic living and showing consideration for fellow human beings. Plantation of the trees in the neighbourhood. Celebrating festivals with the under privileged children in the local kachchi bastis. Organizing sessions on social issues to spread community awareness. Programmes on social issues are conceived by the NSS volunteers and are telecast thorugh the institute's community radio station FM Radio 7. Nukkad Nataks are one the most important and interesting mode to handle the social issues. These nataks are a part of IIIM’s Annual Management Fest "Mosaic" which are much appreciated and are able to attract attention of the masses.